I received an ARC of each book via NetGalley in exchange for an honest review. The witch doesn’t burn in this one, Amanda Lovelace | a witchy poetry sequel – ★ ★ ★ – WITCH is the sequel to PRINCESS. It’s short, a little repetitive in my opinion, but very good. Although I’m no longer a fan of this poetry style and though I enjoyed the first collection more, WITCH is a decent second instalment with a newer empowering selection of poetry. 27 hours, Tristina Wright | distant sci-fi adventure where a group of teens have only hours to save their home – ★ ★ ★ – I’m quite in the middle with this book. There were select moments which were quite thrilling but then I found myself quite bored a lot of the time, especially with its world-building. Aimal says it much better than I could ever about its colonialism issue. (Also, I suggest you follow her – her blog is great) I don’t intend to read its sequel but its cliff-hanger ending that peaked my interest – will depend on future reviews of the sequel. 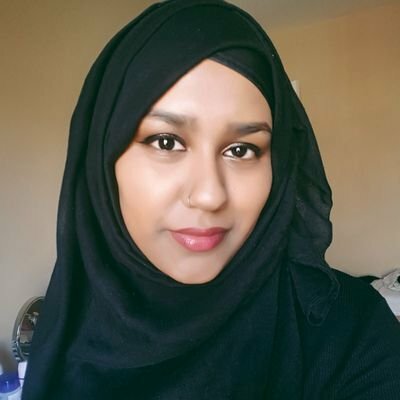 Love, hate and other filters, Samira Ahmed | an aspiring filmmaker faces conflicting choices in the face of a terror attack – ★ ★ ★ – An interesting read, I enjoyed the focus on her conflicting identity as Maya deals with family, education and her future. There’s important dialogue within the story, the romance is really cute but the plot didn’t grip me as much as I thought it would. I Am Thunder, Mohammad Khan | A story of a young teen being pulled into extremism. – ★ ★ – The overall plot and concept were great. You witness how Muzna is swept along unknowingly into a dangerous lifestyle through manipulation and grooming. I just didn’t enjoy the character voice and the pacing was a bit off. God, Reza Aslan | a human look of the account of God – ★ ★ ★ – Aslan studies the human development between of the relationship between God and man and it’s very fascinating. A non-scientific approach with an interesting analysis that actually made me want to learn more. I hope I find the chance to read on this later. * I received an ARC of this book from the author. This in no way affected my opinion of the book. When the Zorka Circus comes into town, they leave the town population with fewer children than when they came to the town. Bloodwalker follows two different protagonists, Rurik and Sylvie. Rurik, the circus security guard, who suspects the killer is amidst the circus performers and despite their closed ranks, he knows he can find them before anymore child have to die. Sylvie descents from a group of people who teach the knowledge of the Bloodwalkers – who follow ancient techniques in preparations of dead bodies. She comes to the Circus to get married but, instead, finds a body. And the duo’s path soon converges to reveal a sinister plan within. What I really enjoyed about Bloodwalker was the concept. Especially, the Skomori’s knowledge and teachings. It was interesting to read about the way they honour and prepare the dead and stay to their ancient techniques and charms despite living in the modern day. I really enjoyed the snippets the novel includes at the beginning of each chapter from “The Bloodwalkers Book” which delved into the ritual and culture of the Skomori. The location itself was quite sparse since the circus is moving a lot so we don’t settle into the place long enough to fully immerse ourselves into it. But it added to the tension as each new place meant they never had enough time to fit its blind spots and to stop the kidnapping and murder. The way the plot blends well the supernatural and murder mystery elements which made it interesting to read. The circus performers, murderous clowns and the close-knit community of the Skomori, Bloodwalker is a decent novel which had my interest throughout and greatly surprised me at many moments. I believe a weakness of this novel was the Rurik had the stronger plot, while the bloodwalkers are important, its relevance was at its strongest towards the end. In the overall story, it just felt like something that was there but not really delved into enough so Sylvie’s place in the story was much weaker and when reading, I wasn’t very excited since the actual plot was with Rurik. Sylvie’s side of the novel felt like it was there to incorporate the Skomori elements and there were moments in the middle particularly where Sylvie’s chapters could be skipped and not impact the plot much which was disappointing because I really liked Sylvie. She is quite a determined main character. Once she realised how dangerous her situation was, she went and actually did something to change that. But, overall, I did enjoy Bloodwalker despite certain things that I didn’t like, it was a good read. Ten years after her daughter was murdered and only two months after her husband’s suicide, Paige thinks she has nothing to live for. Until she uncovers her husband’s gun and she goes in a desperate search to find out her husband’s secrets. I have to admit I was not expecting this book to go where it did. And I now feel like I need to read something happy next. My Girl was definitely a weird one. We follow Paige reeling in the aftermath of her husband’s suicide when peculiar things start to occur around her. I really enjoyed the suspense that book starts with but I felt like it ended way too soon and we’re thrown straight into the turning point without a clear introduction. She goes from looking into her husband’s suicide to something completely different which is a shame because a stronger build up and clear insight into the other characters would’ve improved the novel so that transition wouldn’t have felt so strange. Sean Jackson’s three-year-old twin daughter, Coco, has gone missing leaving only Ruby and no one has a clue what happened. The media blames their mother, but what really happened to the little girl? The Darkest Secret plays over two weekends, set twelve years apart. The first is in 2004 where various friends and family are attending Sean’s 50th birthday weekend while the second is set twelve years later during the weekend of Sean’s funeral. This book was an intense read with engaging characters and drama that focuses on a terrible group of rich people. (for some reason, I can imagine this being a BBC program??) They were horrible- to themselves and to each other. I’ve never read a more self-absorbed group of people like these, which makes it even more fascinating to read as you read on trying to figure out what happened and hopefully learn the truth behind the disappearance of Coco. Marwood has written a relentless novel that creates a group of egoistic characters, and throughout the narrative, there is a sense of complete horror as they reveal how far they will go. Overall, a thrilling novel which I felt had a slow start but once the story kicks in, it’s really compelling. Justin considers himself to be a director, and after making three failed horror movies, he and his filmmaking friends decide to take it up a notch and make something better than the last three put together. With a limiting budget, a barely completed script and a burning passion to complete this before summer starts, they decide to make The Greatest Zombie Movie Ever. And, by luck, they also have Justin’s crush Alicia Howtz as their female lead. But when the pressure of making a movie finally dawns on them, could Justin be actually directing The Worst Zombie Movie Ever? Hannah Fâtier is a thirty-two-year-old physician fresh out of residency training. She’s just started her first job as an anesthesiologist at Deaconess Hospital in San Francisco, she’s bought a new home, and she’s engaged to be married. In short, life is good for Hannah–until, one day, tragedy strikes. A patient under her care dies unexpectedly during a routine operation. An investigation into the case reveals the cause of death to be a basic medical error committed by Hannah. […] She begins to suspect someone has framed her for a fatal medical mistake she didn’t make. But who would do such a thing and why? And, more importantly, why did her patient really die that day on the operating table? 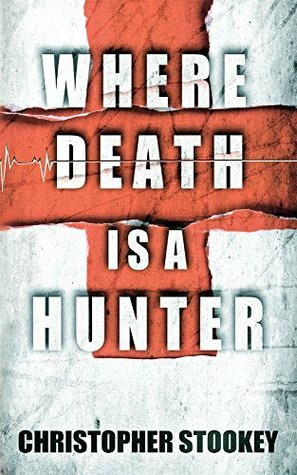 Where Death Is a Hunter is a medical mystery dealing with hospital death, a dark enigma, one doctor’s self-doubt, and the search for redemption. Hannah Fâtier is an anesthesiologist with a brand new job at Deaconess Hospital in San Francisco. Her life seems ordinary until a patient under her care dies before the routine operation had properly begun. Hannah is blamed due to a basic medical error, yet Hannah knows she isn’t to blame. Research into the patient Hannah discovers many inconsistencies. And learns that someone has framed her for a fatal medical mistake she knows she didn’t make. Okay, I really enjoyed this book. I feel like thriller novels are now something I should look into more. Hannah is such a great character, I loved her so much and felt so sorry for her as she was put through all this terrible suffering. She lives an intriguing life which in turn increased a good tale. The novel only focuses on what’s essential, and Stookey creates a female lead that was great to root for. And the supporting cast – while they didn’t feel as fully fleshed out, but they were still likeable and believable. This is such a short review, but this book was so great! I could definitely see this as a tv show! 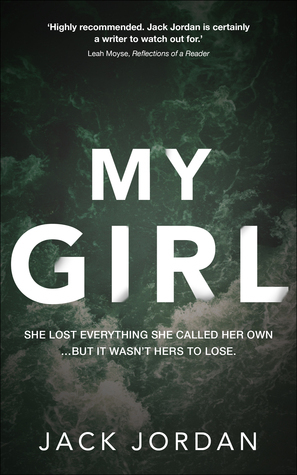 Overall, a detailed, thrilling novel that keeps you gripped until the very end!